2017 is the year of the Rooster according to the Chinese Zodiac. The Rooster represents fidelity and punctuality. 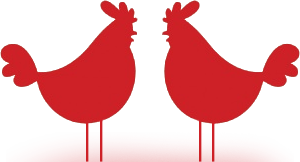 TimeTec serves the workforce management industry, the Year of the Rooster is a year we look forward to. Establishing punctuality and fidelity of organizational workforce is key to our business. We believe that if we are able to provide the right technology and solutions to our customers, we can increase productivity of organizations and in turn increase profitability and growth, one step closer to meeting your organizational goals. In conjunction with Chinese New Year, and our newly launched i-Neighbour cloud visitor management system, we have Angpow packets with the Rooster design. The design signifies punctuality, fidelity and prosperity. Email us at [email protected] to request for Angpow packets, complimentary of TimeTec.